The majority of our business come from previous customer referrals. We have always taken care of our customers regardless of if they need a small roof repair, roof conversion, or new roof on a custom built home. We know how important word of mouth is and that we have a reputation to uphold. We have performed work on homes, HOA's, and rental units all over Utah. 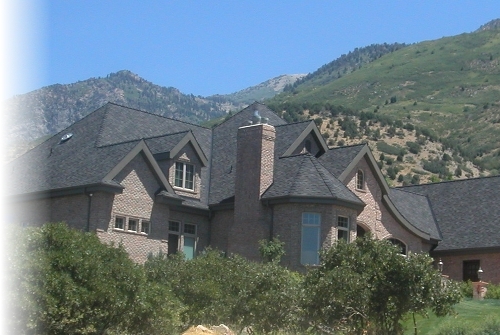 Regardless of if you own a Millcreek bunglaow, a rambler in South Jordan, two story in Bountiful, Eco-friendly in Sugarhouse, a ski rental in Cottonwood Heights, a cabin in Kamas, or a 12,000 square foot home in Park City we are your roofer. Our technicians have seen and performed work on all different types of homes and are confident we can take care of you and your most valuable asset better than anyone else can. To view specific product types or services simply click on any of the tabs listed above and thanks for considering us for your special project whatever it may be! "THANK YOU all so much. My brother-in-law went by yesterday and inspected the roof and said it was completed and done very well. Thanks again for coming through for us and working so well even though we are in another state."